Dealing with the aftermath of a car accident can be difficult, especially if you were injured in the accident. It’s critical that you understand the basics of how to negotiate your auto accident settlement with the insurance company. The first this to understand is that insurance companies may try to avoid paying for the costs associated with your auto accident injuries and damage to your vehicle. If the prospect of negotiating with your insurance company or that of the other driver is overwhelming, or an insurance company has refused to pay you a fair settlement, an experienced car accident lawyer may be able to help you navigate the claim negotiation and settlement process. Regardless of whether you decide to hire a car accident attorney, these tips can help you negotiate a fair auto insurance settlement with the insurance company after a car accident. Note: We strongly suggest that you speak to a qualified car accident attorney if you feel that your insurance company is not offering fair compensation. Most car accident lawyers, like us, offer free auto accident case reviews. Even if you’ve never negotiated with an insurance company before, it’s possible to obtain an auto accident settlement that takes into account all of your injuries, the pain and suffering you endured, and other losses like damage to your car and unearned wages. 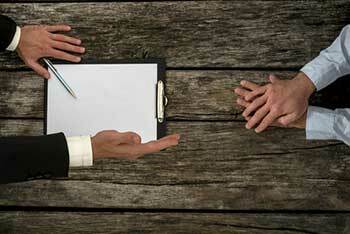 Car accident settlement negotiations aren’t much different from other types of negotiations. Representatives of the insurance company must protect the company’s interest in maintaining a profit, and will therefore try to pay you as little as possible for your claim. These tips can help you secure a favorable settlement with an insurance company if you were injured in a car accident. After a car accident, you should contact your insurance company right away. It is important to initiate a claim as soon as possible after a car accident so that you can recall details about your accident accurately and report any injuries or property damage that occurred. For more information on when to contact your insurance company after a car accident and what you should say, read our guide to contacting your insurance company after a car accident. You should keep a file of records about your car accident that is organized chronologically. This file should include a police accident report if one exists, records of doctors visits, bills for car repairs, and anything else relevant to your accident. You will rely on these documents often during negotiations, and having them readily available can help expedite the settlement process. The cost of repairing or replacing your vehicle and any other property that was damaged in the accident. Based on this information, decide on a minimum settlement figure that you will accept. If you cannot determine what is a fair insurance settlement, a car accident attorney may be able to help. After you calculate what you think your claim is worth, send a demand letter to the insurance company. Describe the car accident, your injuries, the medical treatment you received, any ongoing health issues you have, how badly your vehicle was damaged, and any other losses you incurred as a result of the car accident. Then, tell the insurance company how much money you demand as a result of the circumstances. Because the insurance company will likely reply with an offer for an amount lower than what you’ve asked for in the demand letter, you should ask for between 25 and 100 percent more than what you would be willing to settle for. It is important to remember that you must have evidence and documentation to back up everything in your demand letter. A lack of evidence can prevent you from getting the offer you deserve. When the insurance adjuster makes an initial offer, it may be too low. A first offer that is unreasonably low might be a tactic by the insurance company to see if you know what your claim is really worth. Ask the insurance adjuster to justify his or her low offer and give you specific reasons why your claim is so low. Respond to each of the points he or she makes in a reply letter explaining why you cannot accept the offer. Do not propose a lower figure – wait to see if the insurance company will increase its offer. If the first offer is reasonable but still too low, you may want to counter with a somewhat lower amount than you asked for in your demand letter. If you make a reasonable counteroffer, the insurance company will be more willing to compromise. When communicating with the insurance company, emphasize the strongest points in your favor. Do not waste time going over undisputed facts, and focus on what’s most important to you. If you suffered an injury that will require lifelong medical care, discuss how this will affect your quality of life and finances over time. If you missed a significant amount of work, reiterate the total amount of wages you lost and how missing work impacted your family. Make it clear to the insurance company that you must be compensated fairly for your injuries and other losses. You should take detailed notes about all of your conversations with the insurance company. Ask that all settlement offers be presented in writing. If you reach an agreement, make sure that it is memorialized in a dated written contract that is signed by all parties to the agreement. If you cannot arrive at a fair settlement agreement after negotiating with an insurance company, you may need to hire a car accident lawyer. An experienced accident attorney can help you evaluate your situation and determine whether a personal injury lawsuit is necessary. Sutliff & Stout are experienced car accident attorneys who represent clients who have been involved in auto, motorcycle, and truck accidents in Houston and the surrounding areas. For a free and confidential consultation about your case, text or call (281) 853-8446 anytime, 24/7.